Back in the nineties, Nintendo showed the world the future, and that future was translucent plastic and circuit boards. Both the Game Boy Pocket and Game Boy Color offered see-through casing, not to mention the Game Boy Advance a few years later, and kids everywhere loved them. 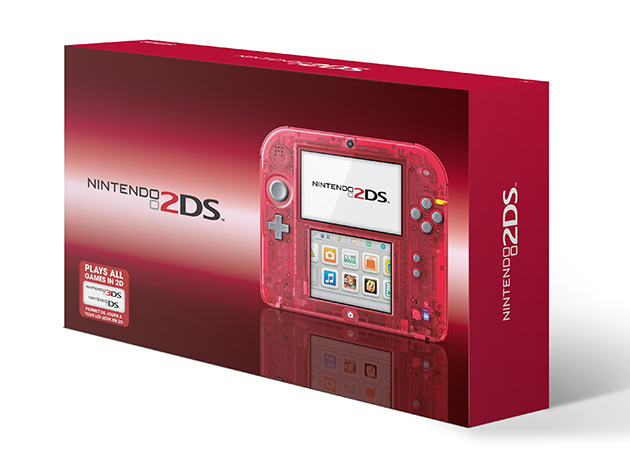 Now, Nintendo's treating us to a pair of new 2DS handhelds crafted in the same mold. The "Crystal Red" and "Crystal Blue" versions of the portable consoles will launch alongside the new Pokémon Omega Ruby and Pokémon Alpha Sapphire games for $99.99 on November 21st, leaving us questioning why they aren't called "Crystal Ruby" and "Crystal Sapphire." Either way, you'll be able to relive your youth while playing a brand-new remake of a 12-year-old game soon.